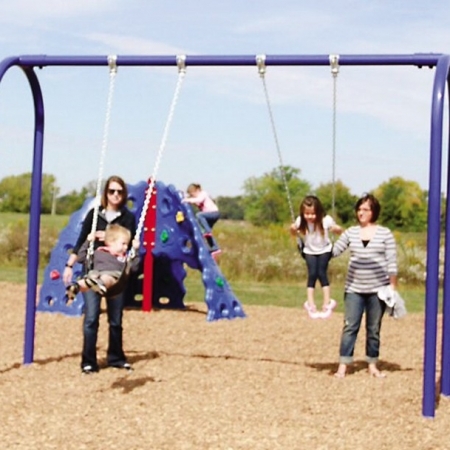 The JennSwing is a full body swing designed for special needs children, from babies just beginning to sit up on their own to school-aged children weighing up to 120 pounds. 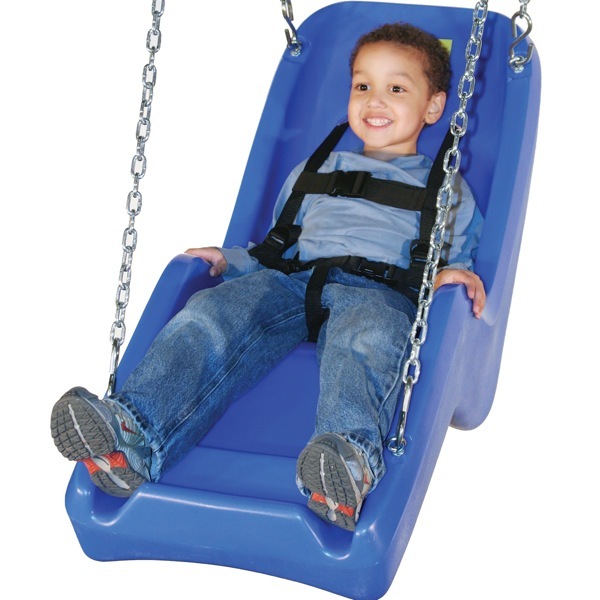 The JennSwing is a full body swing designed for special needs children, from babies just beginning to sit up on their own to school-aged children weighing up to 120 pounds. 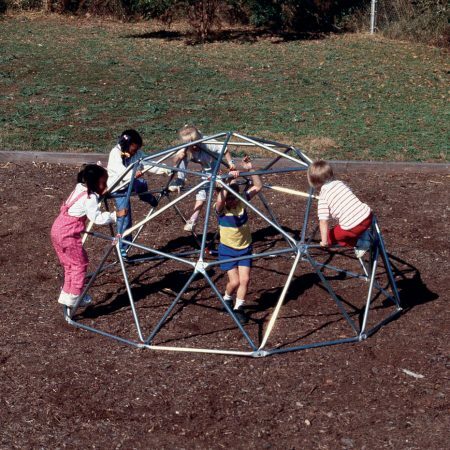 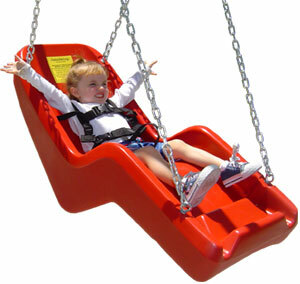 The JennSwing offers children with special needs the chance to experience the exhilaration of swinging. 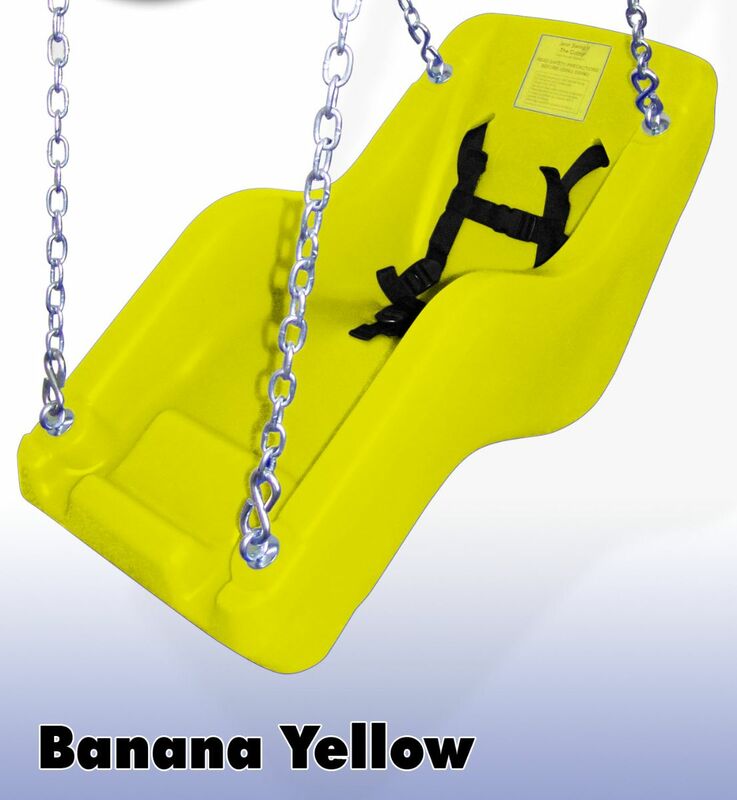 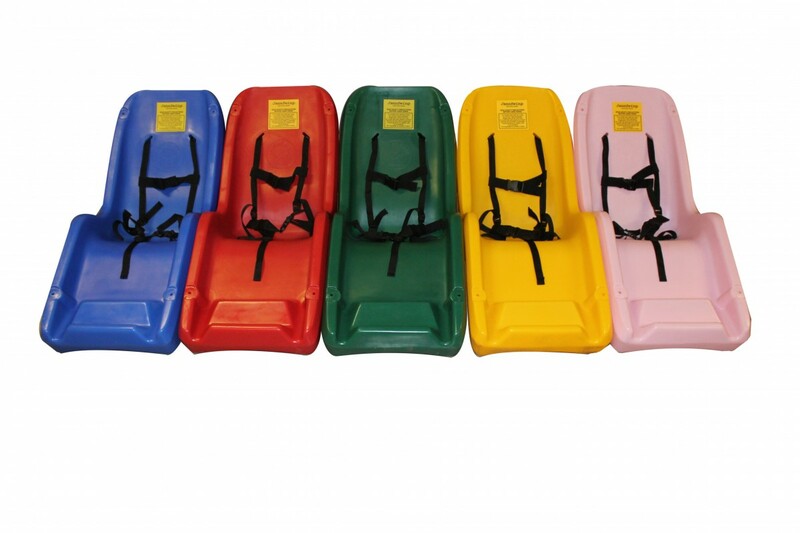 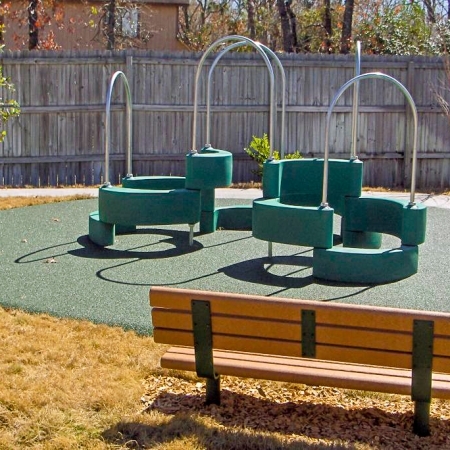 Designed to meet the American Disabilities Act (ADA) guidelines for playground equipment, the JennSwing ships complete with chains, S-hooks, and safety harness in a variety of colors. 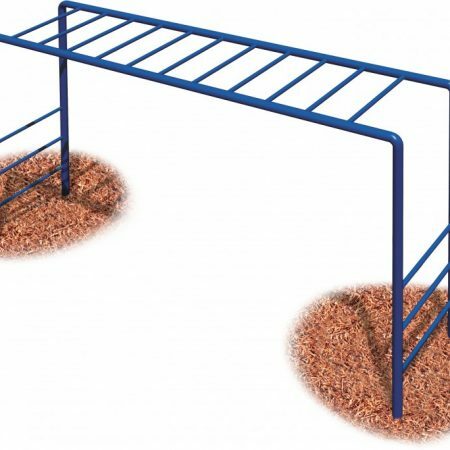 The JennSwing is available with chain lengths to accommodate eight feet top rails only. 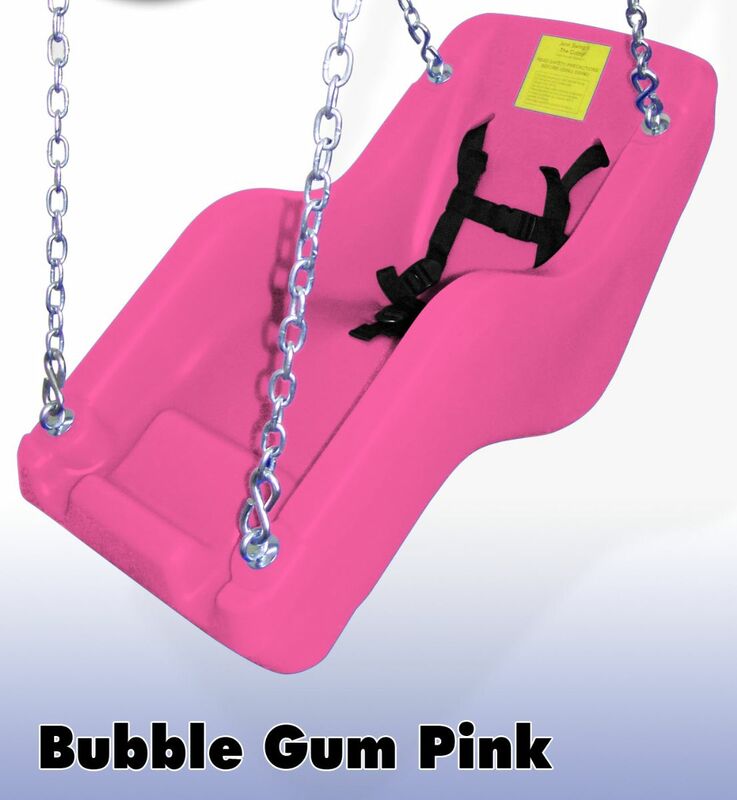 The swing seat dimensions are as follows: 14″ W x 11″ D x 45″ total length, seat to back is 24″ and knee to foot is 14″. 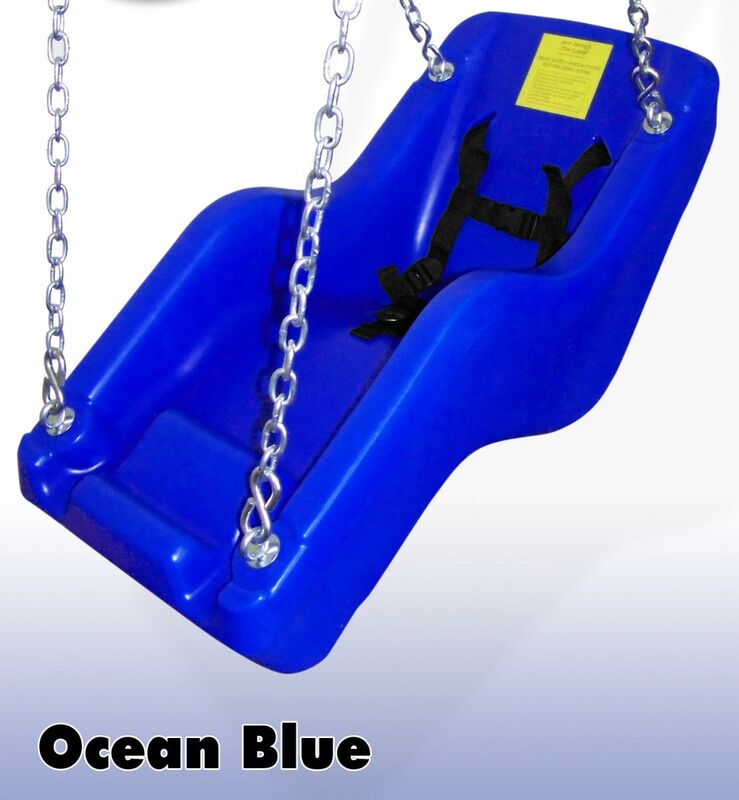 Replacement harnesses are available.